Disclaimer: This is a sponsored post written by me on behalf of The J.M. Smucker Company. The opinions and text are all mine. I would like to take a moment to share my mom failures with you. I think we all start out with the best intentions. 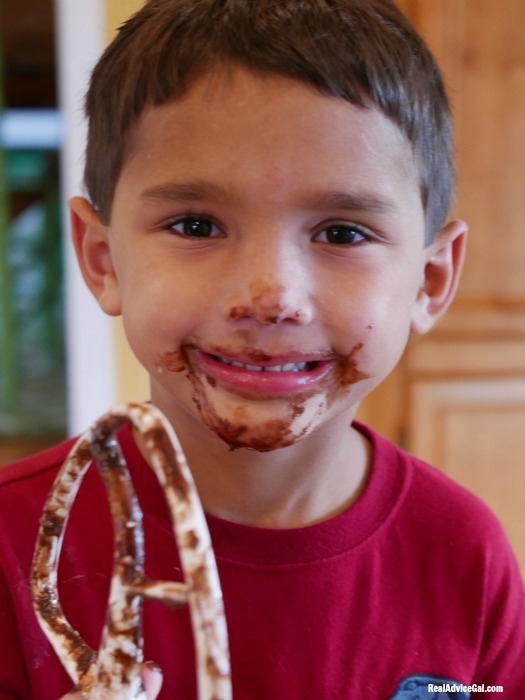 We want to bake something with our kids, and it will be fun. We go to the store with them. We come home having missed out on an ingredient we needed. We go back to the store. We buy the ingredient and thirty dollars more in things we do not need. We get home, and we are tired, and we do not feel like baking. 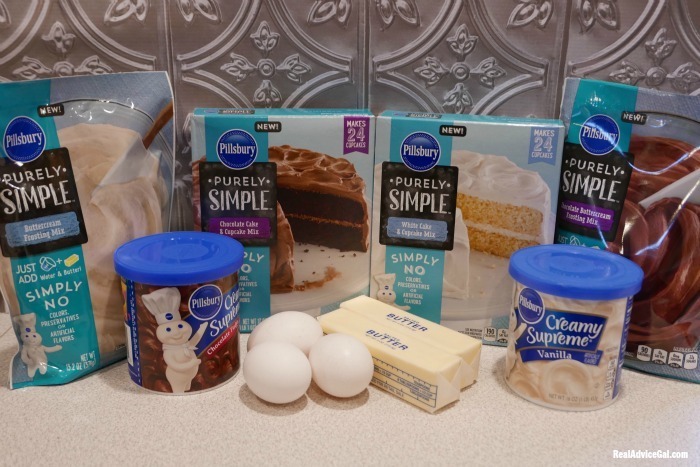 We do so because we have promised up and down that today is the day we will bake together. We start the process; then someone loses something in the bowl. We fish it out. We remind them not to stick their hands in the bowl. Then we decide our warning is falling on deaf ears, so we decide to give them their own bowl of flour and water to stir while we make the real thing. Then we hear the proverbial whoops. We look down, and it appears to have snowed in our kitchen. We have one child using the flour to make handprints on the floor, isn’t that neat? Neat? It is the exact opposite of neat. It is a mess. We keep stirring and mixing hoping the kitchen will last through this epic event. We then hear “he took my spoon!” We remind to share. We say come help mom. Okay! Then they begin to help mom by fighting over who is going to help mom. We become annoyed, this is supposed to be fun. I am trying to cook cupcakes from scratch. I spent all this time buying the ingredients and putting them on the counter, measuring everything, so it was right, and then I had the sequence of who was going to do what. Well, that was great in my mind but the reality is flour hand prints on the floor, counter, and even my bottom has one. Then it hit me as I was walking in Giant. What if I could find a mix that had everything in it except for one or two ingredients. I could surely manage that since the last time I baked from scratch I confused baking soda with baking powder. When you are trying to contain the handprint army moving through your house, you just grab. 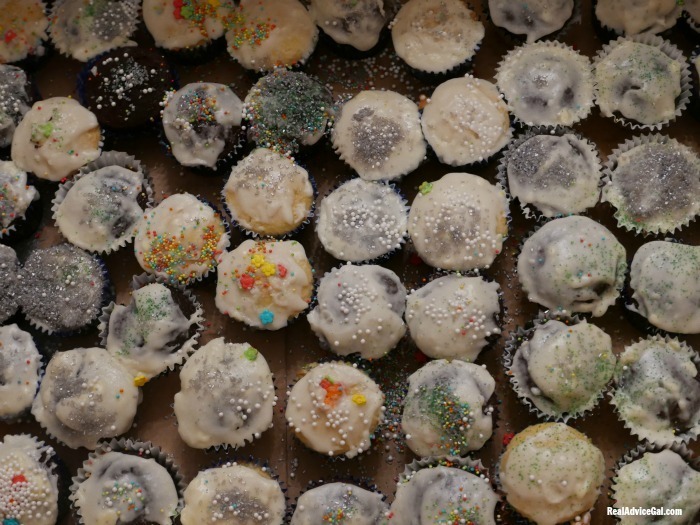 You guessed it my cupcakes from above were a failure, so I am now armed with my box of success. 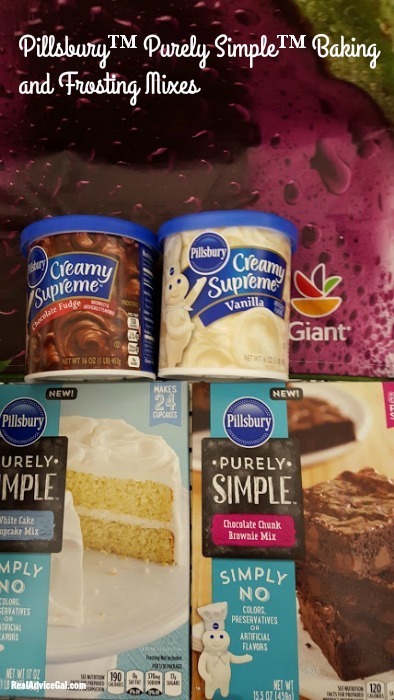 I liked that the Pillsbury™ Purely Simple™ line had everything I would have used if I could get my act together in one box. It was easy to make, and it allowed me to make the memories I wanted with my kids. They got to pour, crack eggs and help soften the butter. They turned on the mixer and then they each stirred by hand. They allowed me to pour them in cupcake liners that they selected. 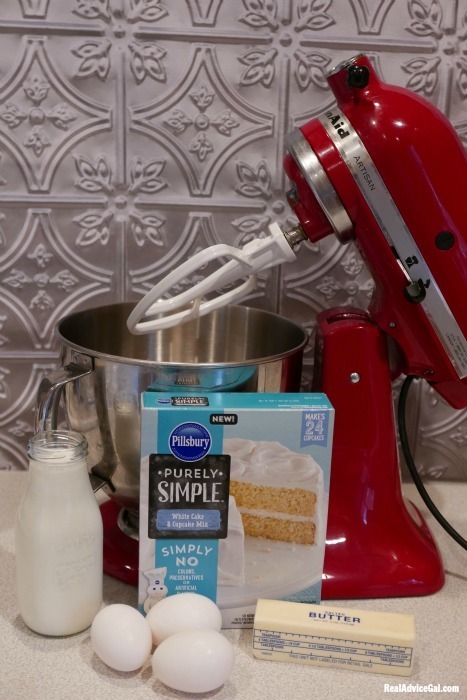 Then we made the buttercream icing. I can not deny that only 2/3 of it made it on our cupcakes, we may or may not have eaten it on pretzel sticks while waiting for the cupcakes to cool. The best part of this experience is I wasn’t stressed out. I got to enjoy my children baking with me. We had a wonderful time. I allowed them to frost and decorate the cupcakes themselves. 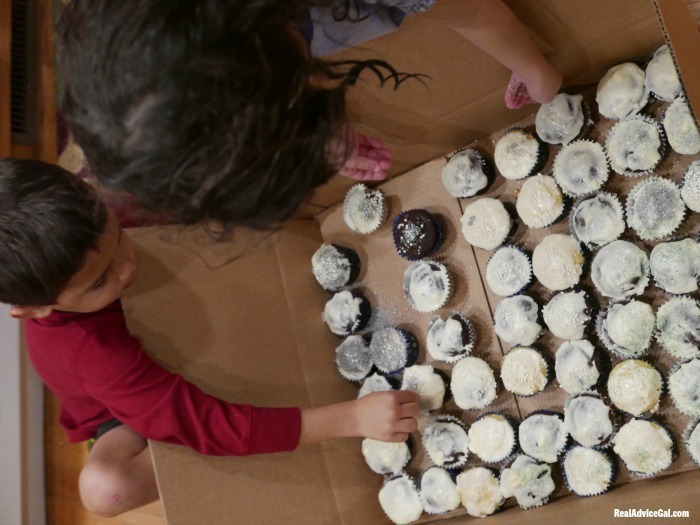 The trick I use is to get a box and put it on the floor, and then we place the cupcakes in there for decorating. The box will catch the extra, and it will not hit your floor. Then you tilt the box and spoon out the decorations for them to add more. The box is a great way to deliver them as well. We made ours for school so we can share. The best part about making cupcakes is sharing them with your friends. I guess they looked so good when I posted them on social media that we had a couple friends come over early to perform a quality test. 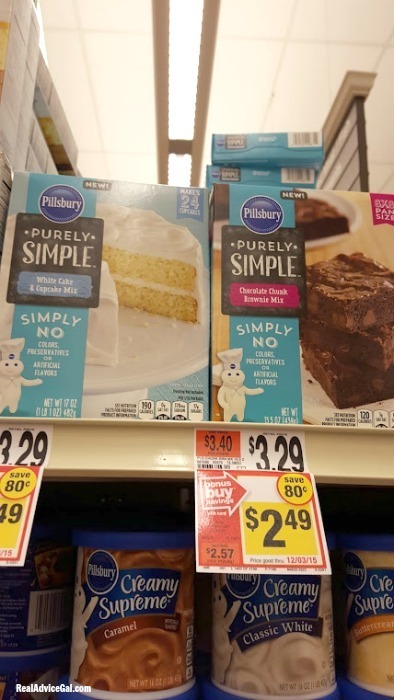 The Pillsbury™ Purely Simple™ Baking and Frosting Mixes line is available at Giant, Stop&Shop, Martin’s Food Markets and Peapod. This product line is one that I will keep in my cabinet from now on. They were incredible but so was the time I spent with my kids. I suggest you visit www.thedessertdebate.com because they have lots of mouthwatering recipes that will surely help you make amazing desserts for your family this coming holiday season. They also offer tips and tricks on how you can better use their products. Now in our home there’s no #TheDessertDebate because everything we make is a winner!